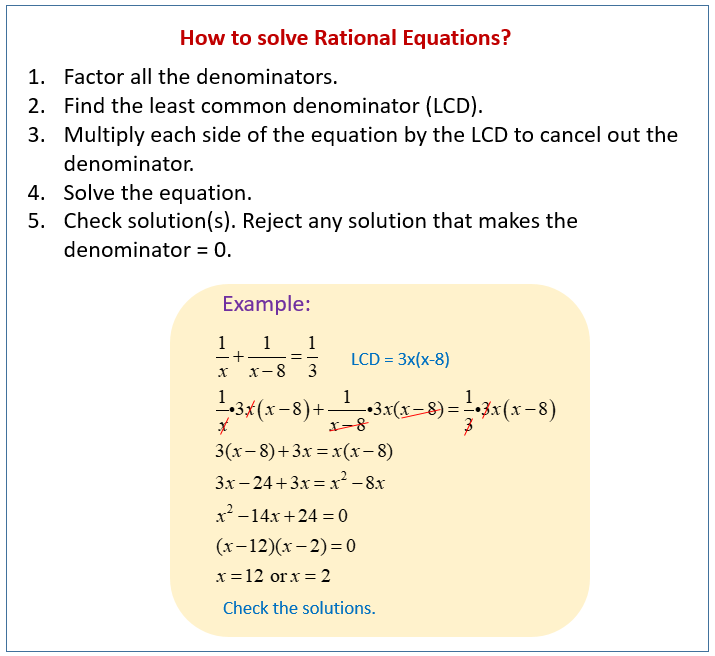 Examples, solutions, videos, activities and worksheets to help SAT students review how to solve rational equations. What is the solution to the equation above? What is one possible solution to the equation 24/(x + 1) - 12/(x - 1) =1?